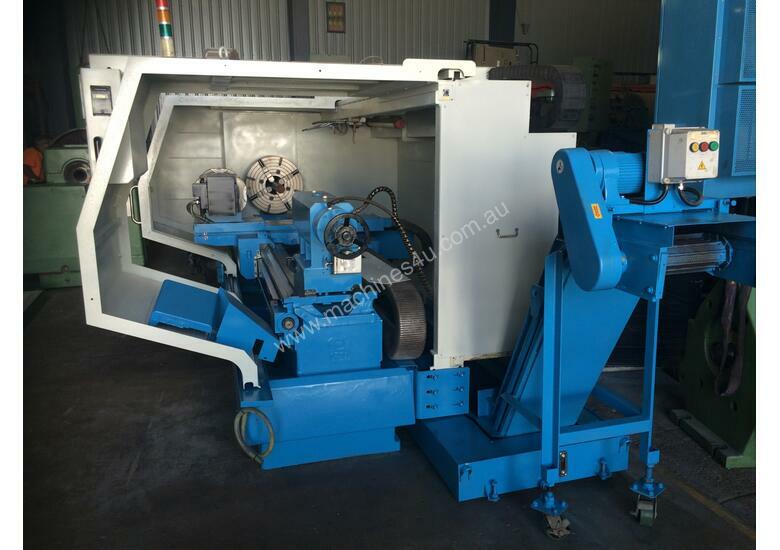 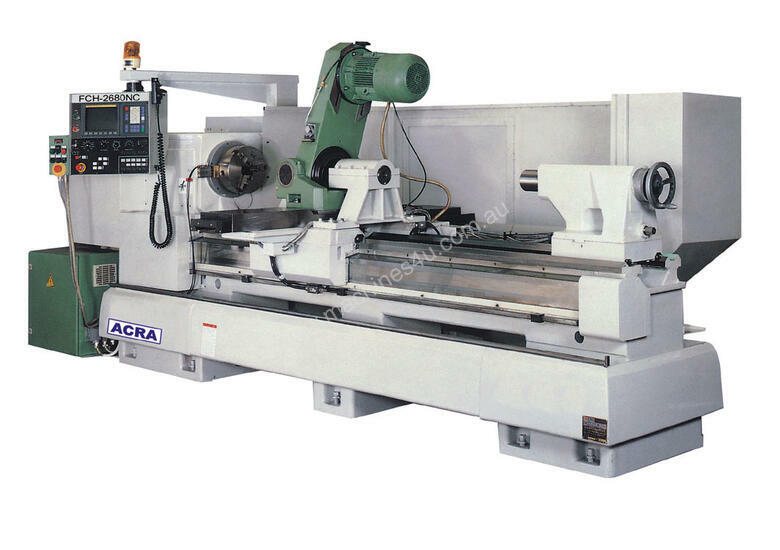 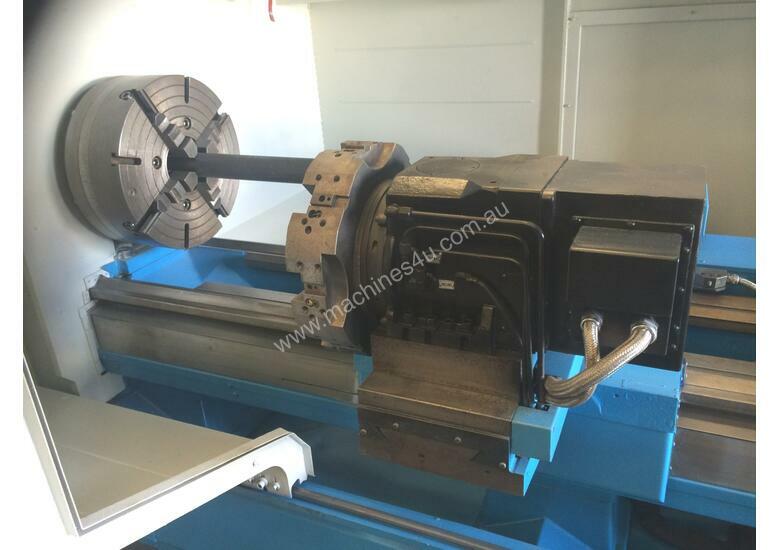 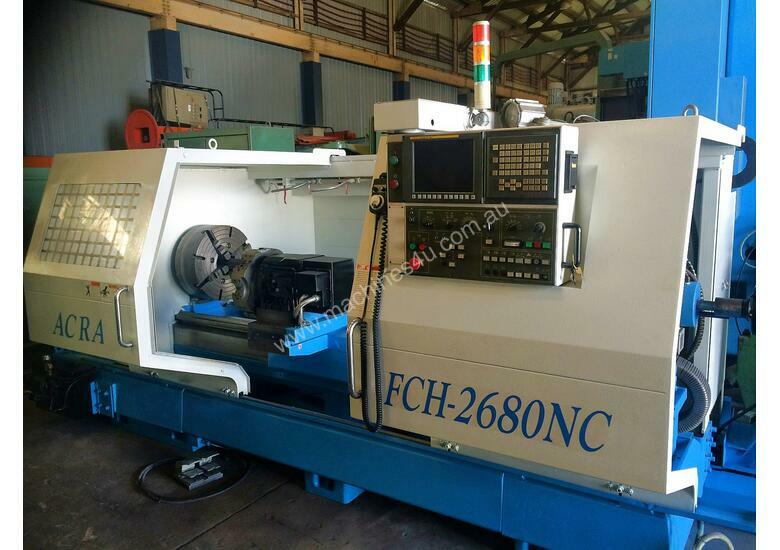 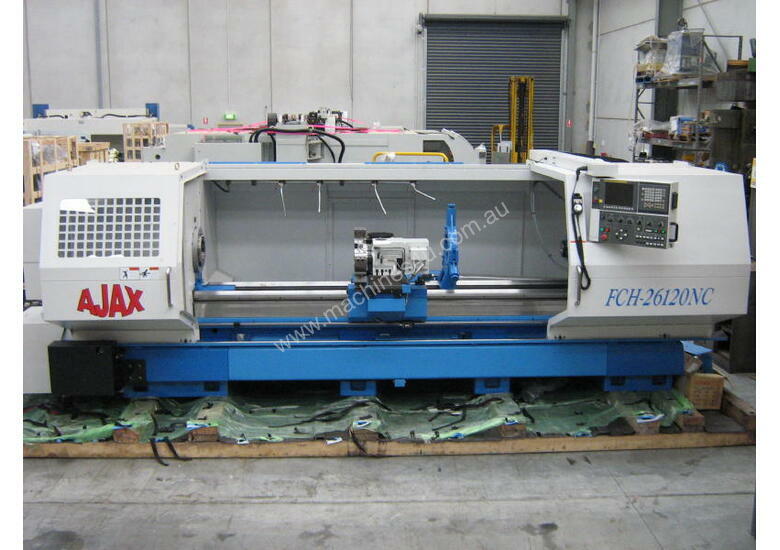 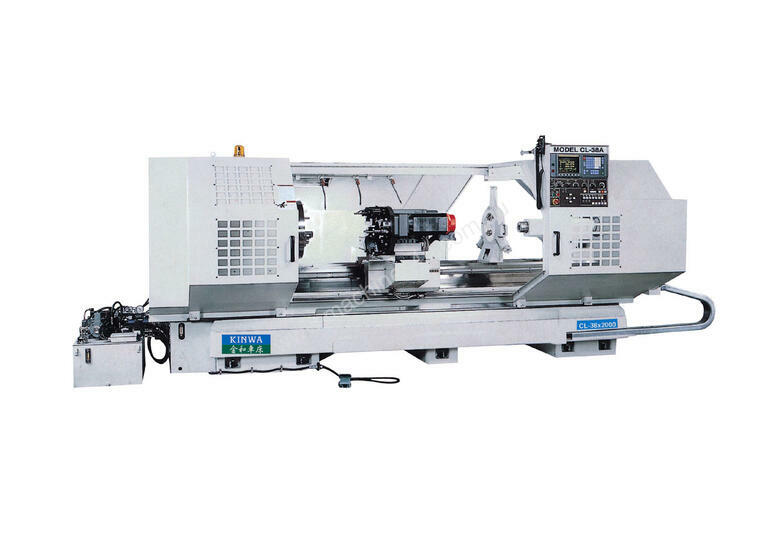 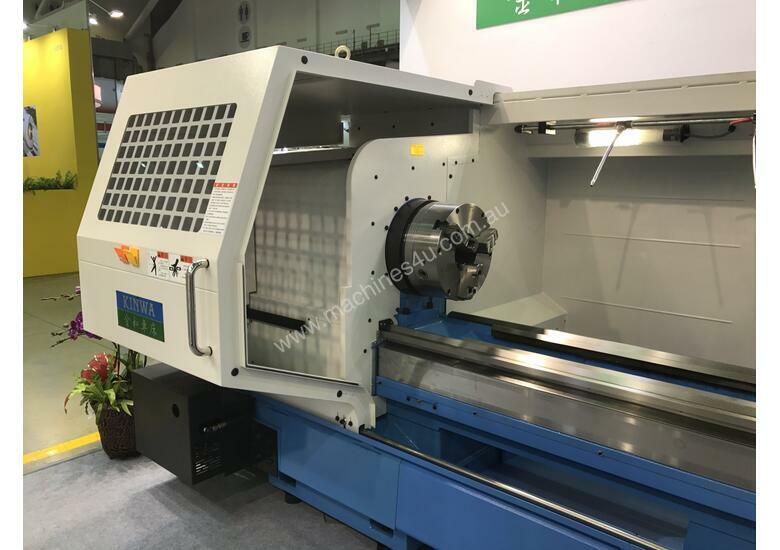 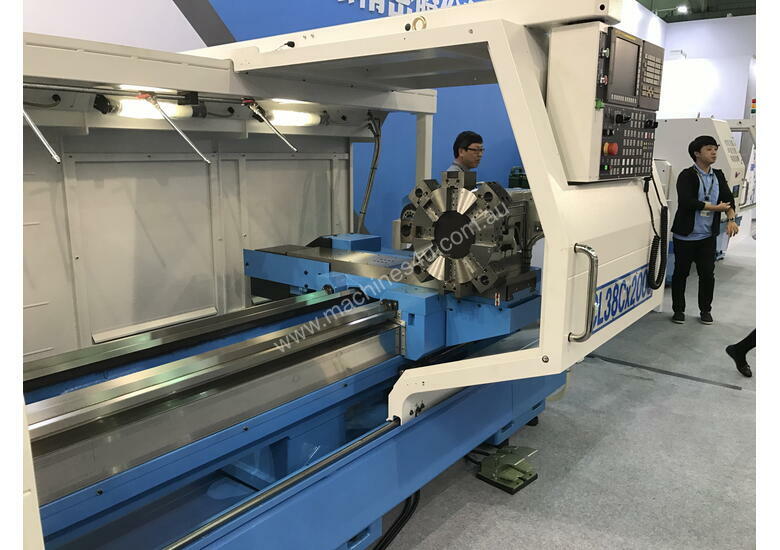 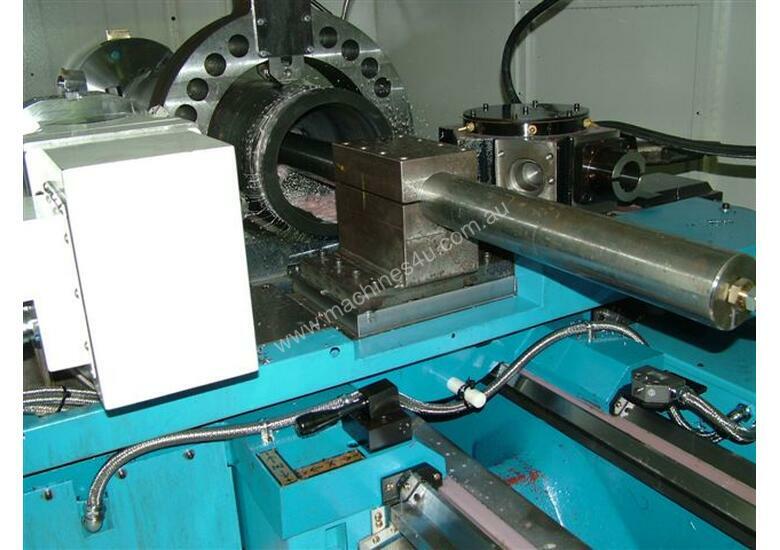 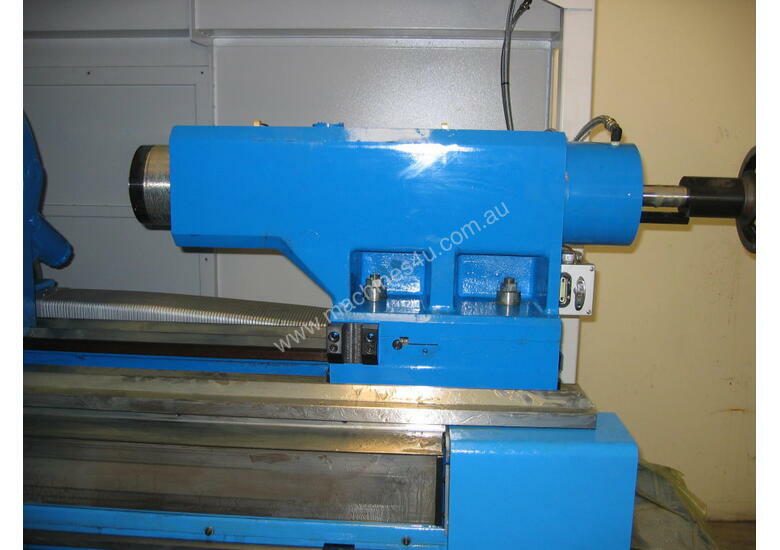 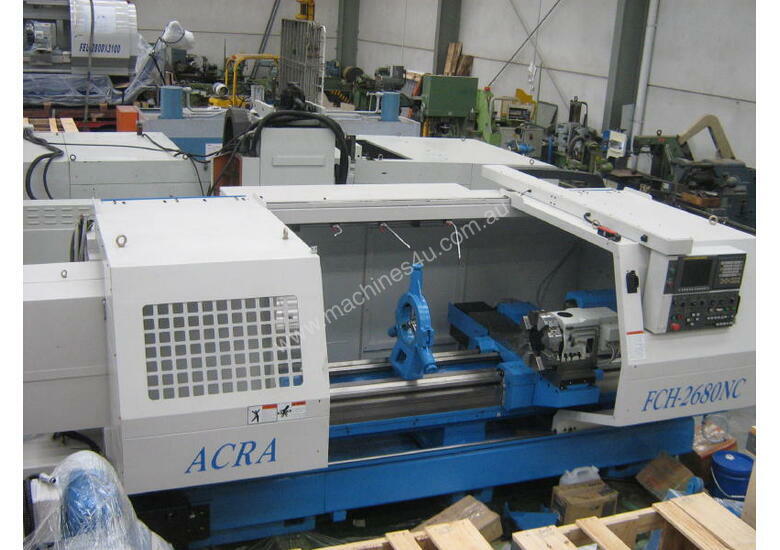 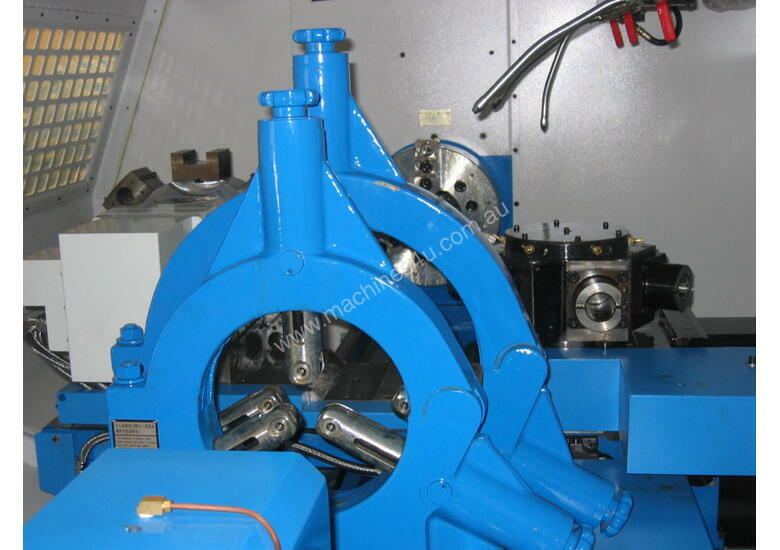 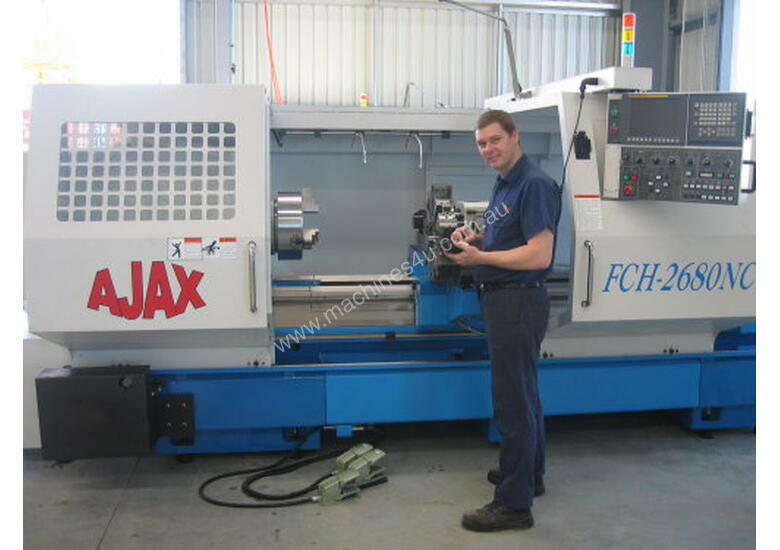 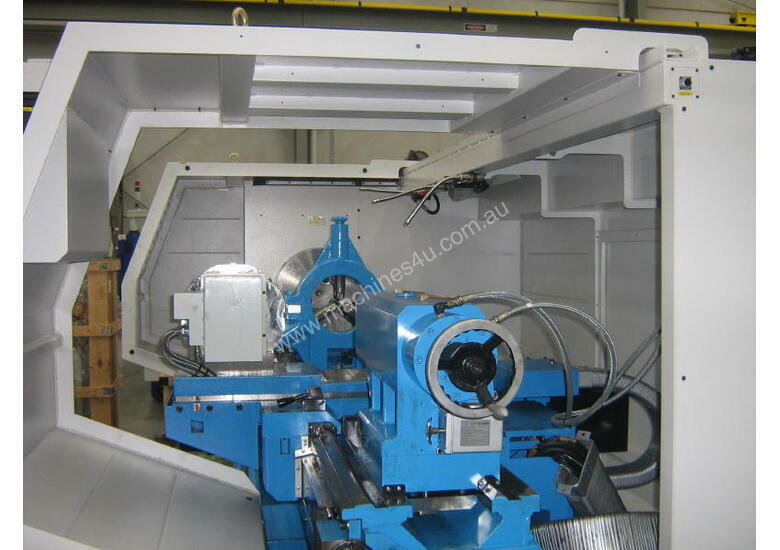 New Ajax Kinwa FCH26 Series (CL38) CNC Lathes are powerful, heavy duty M5 style CNC turning centres with flat bed construction for general turning applications of large work pieces. 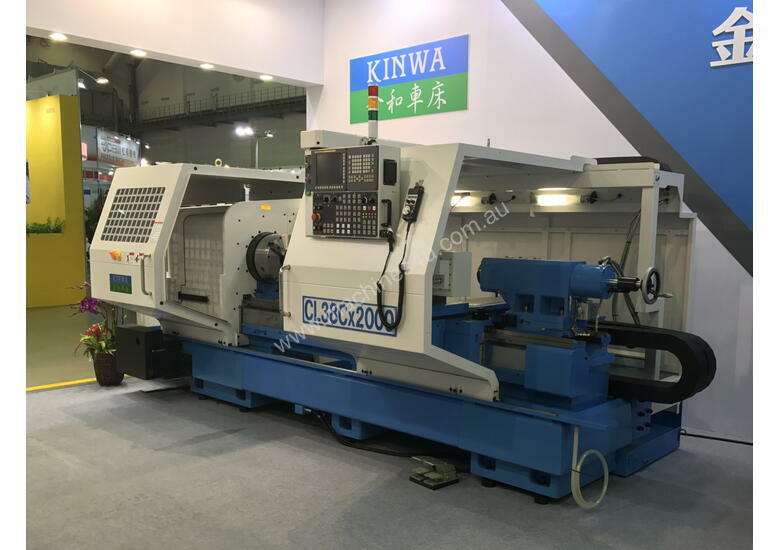 With spindle bores of 120mm or 180mm and a choice of H4, H6 or V8 tool turrets or front and rear combinations of these, the Kinwa FCH26 is a highly versatile workhorse. 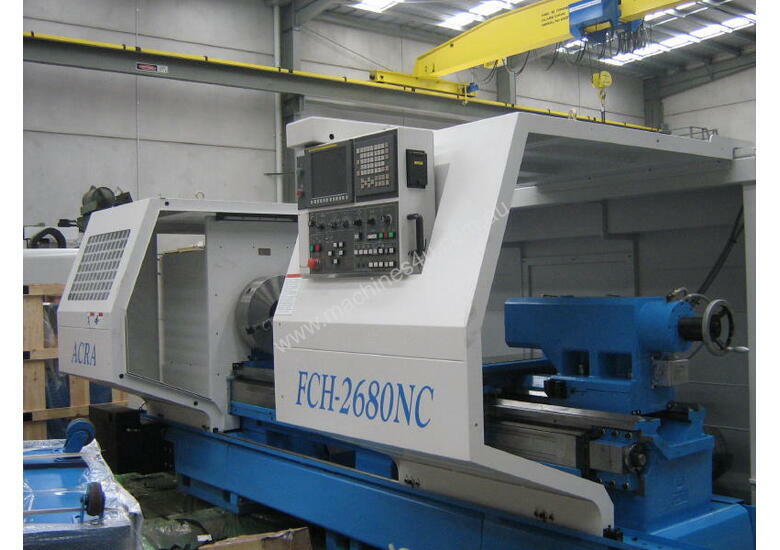 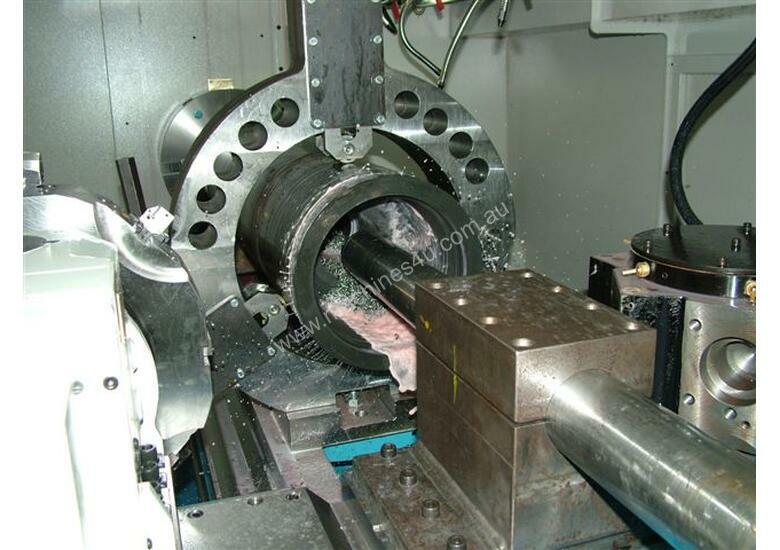 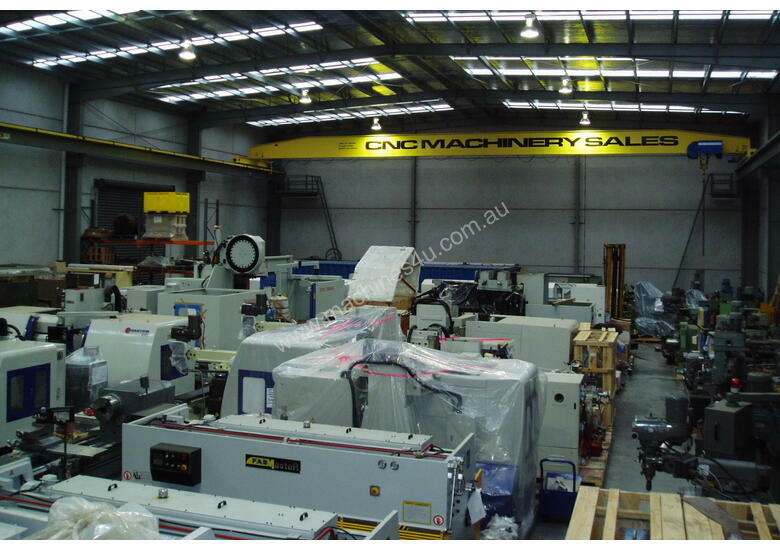 Available in 660mm swing x 1500mm up to 4000mm between centres, all FCH26 series machines come standard with high torque 30hp spindle motors which run through a 2 speed range gear box. 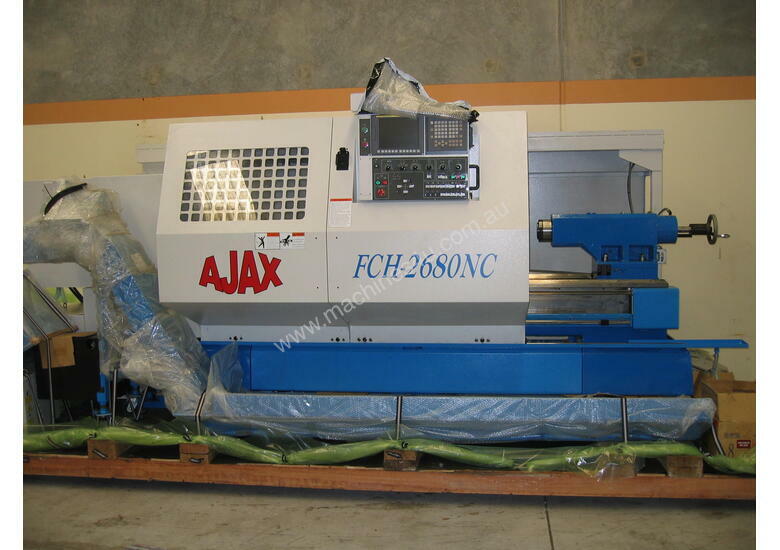 This power combined with the machines impressive rigidity makes the Ajax FCH26 suitable for the most demanding of applications.